Player guilds are one of the most important elements of Idle Heroes, it allows you access to Guild Raids, Guild Store, Guild Mill, Guild Tech and Guild Wars. Idle Heroes Strategy Game Guide. 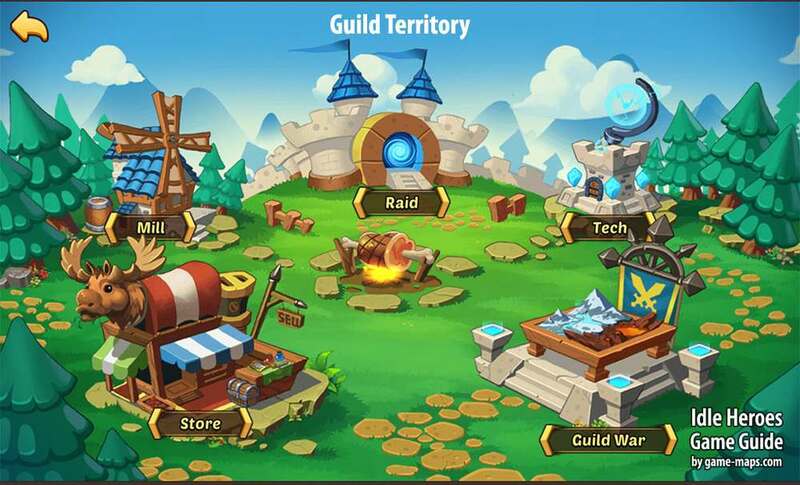 Player guilds are one of the most important elements of Idle Heroes, it allows you access to Guild Raids, Guild Store, Guild Mill, Guild Tech and Guild Wars. Guilds are available to all players from Level 21. Number of players in Guild will increase with Guild Level. At the 1 Level of the guild, the number of players is 15, so that 30 Guild Level can reach 30 players. At any time you can cancel the participation in the guild, so do not be afraid to join guild as soon as you can. You will not lose Guild Coins and Guild Tech leaving guild. You will always be able to find a better guild in the future. Participate in Guild Raids and earn Guild Coins. Access to Guild Mill where you can carry Orders and rob other players. 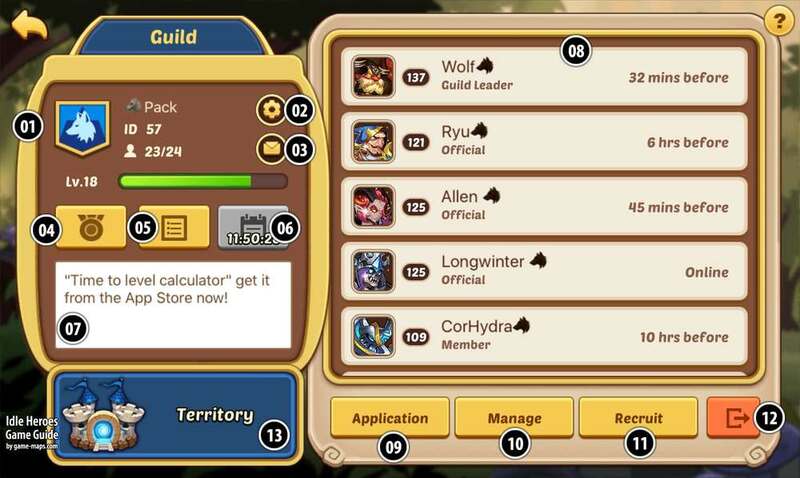 Access to Guild Tech, very powerful upgrades for your team. Access Guild Wars where you will be battling other guilds. Guild name, Guild ID, number of players in your guid and Guild Level. Guild rank on your server. Who join your guild, who left, who was kicked, and official promotions. Current list of guild members. With Guild Leader and Guild Officials marked. Here you can write an advertisement about the recruitment of new guild members. This announcement will appear on a special chat available to all players on the server. Here you can leave the current Guild.